A solid plate boat like the Tomahawk provides a solid ride in most conditions. THE Formosa Tomahawk Offshore 660 is one of the latest releases from Queensland-based Formosa Boats. This is the third Formosa I’ve tested in conjunction with Jason Graham from Aussie Boat Sales ACT NSW. Jason has a very tidy operation in the ACT and also an office in Bateman’s Bay and is selling a lot of boats due to his attention to detail and excellent boat fit outs. Jason knows his boats and what customers want and he has a very handy knack of combining the two to sell boats that are fitted out just right for each customer’s requirements. He’s doing some very good work with Formosa boats and Honda outboards. The 660 Offshore I recently tested is an enclosed cabin model with padded bunks up front that offer a heap of room to store gear and even do an overnight trip and sleep on. I’m 6’1” and I had no trouble stretching out on the bunks and the cabin head room was well clear of my bald melon, which is nice to see in an enclosed cabin boat. The attention to detail and finish out of the Formosa factory is first class and what any discerning fisho would expect of an aluminium hull these days. Weld quality and paint finish are second to none. The fit out by Aussie Boat Sales ACT NSW was first class and in-line with the two previous Formosas I’ve tested. Fold up seats in the back that double as padding when fighting a fish, a very well designed livebait tank at the back that doubles as a rigging station with rod holders, triple batteries, anchor winch, deck wash, tackle storage under the seat boxes and the list goes on. Electronics included Raymarine GPS/Sounders, Fusion stereo and Garmin GMI digital gauges - all superbly fitted with attention to detail and quality selection. You can order the boat with any of these options fitted or just go with the basics and do your own fit out. Formosa makes a great seaworthy boat with an impressive fit-out. The hull performed exceptionally well in a test at Bateman’s Bay in perfect conditions. We had glassed out conditions with no swell to speak of so I didn’t get a chance to put the hull through its paces in any slop or serious swell. The actual hull is 6.75 metres overall including bow sprit and transom with a 2.5 metre beam. Dead rise is 18.5 degrees which is a good number to give stability at rest and reasonable travel through swell and chop without too much pounding and banging when coming off a wave. We found a little bit of swell on the test day and the 660 cut through it very comfortably. The 5mm boat plate and 1050 hull weight obviously helps out there. Floor to gunwale height is 670mm and the deck is self-draining. Underfloor fuel capacity is 220 litres which is more than enough for a full days gamefishing or overnight estuary trip. I was particularly impressed with the enclosed cabin design, shape and detail. With windscreen and side windows, the cabin is dry as in any conditions from heavy rain and rough seas. The test boat was set up with windscreen wipers and even an LED light bar at the top for night navigation. The side windows were sliding so they can be opened up to allow fresh air through the cabin on hot days. The rear of the cabin has roll down vinyl and clears to be sealed off to keep rain and insects out when overnighting. The front bunks can also be covered up with a vinyl roll down curtain for privacy if you chose to sleep in there or have a toilet fitted. Very practical and great attention to detail in my opinion. The cockpit features plenty of space and fishing features. The test boat was fitted with a Honda 225hp four stroke motor which is the maximum rating on the Formosa 660 rating plate. I’ve tested several Honda outboards over the past few years and they have never failed to impress. That 225 is a big motor but it's just so quiet and smooth. It powered the 660 Offshore out of the hole with ease and had it up on the plane in seconds. Power and torque range was incredible and acceleration and control at speed were great fun. It was actually very enjoyable running the 660 Offshore at speed and playing with the big Honda. I had a lot of fun playing around and there’s not a lot of boats I can say I’ve done that in. No shortage of power with that big 225 Honda. 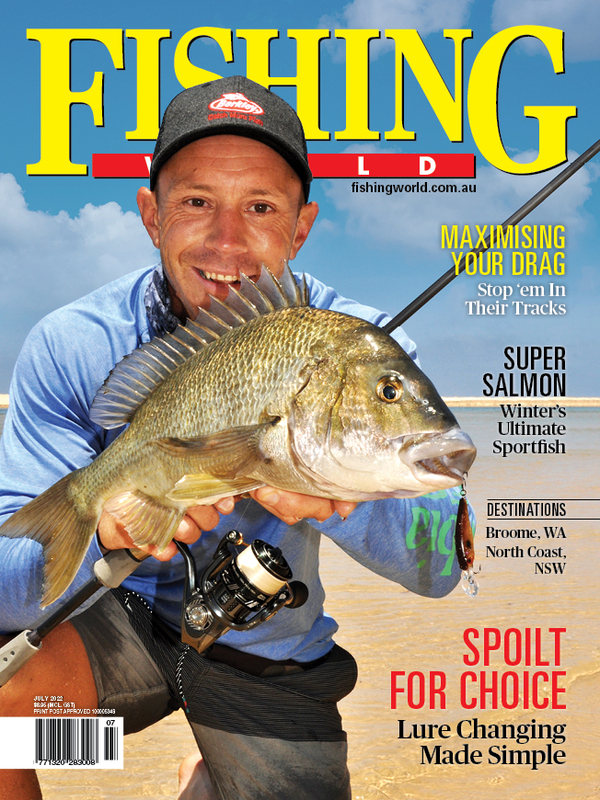 The large offshore, trailerable boat market has exploded in the past decade with most of the well-known manufacturers introducing larger hulls in the 6.5 to 7 metre range to cover trailer boat gamefishing up and down the Australian east coast. The idea of a large boat that can be trailered to where the fish are is a very good principle. It makes the options a lot wider compared to having a moored boat and is usually considerably cheaper. The Formosa 660 Tomahawk Offshore is a prime example of a large boat that will handle the conditions for serious gamefishing and it can be trailered up and down the coast over the season to where the hot bites are depending on warm currents, etc. It can also double as a very tidy and practical family boat for days on the water and overnight stays. In my book that makes it a very practical investment for the boating family.